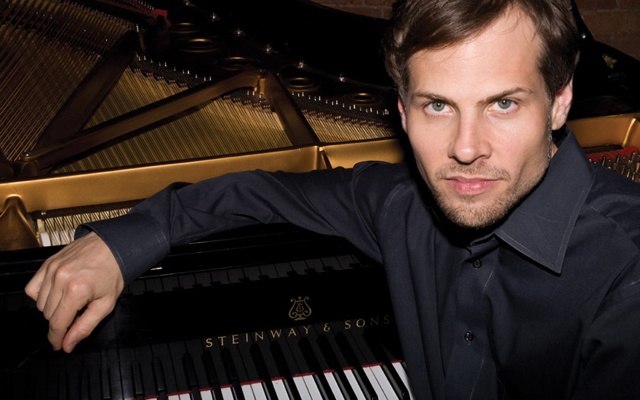 Anyone not having the good fortune of ‘getting hip’ to the work of pianist Klaus Mueller from his many performances both on stage and on record, albeit accompanying other artists, now have their best opportunity. 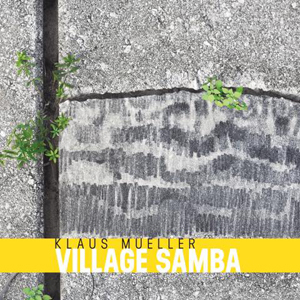 Mueller has crowned an already flourishing career – that began in Germany and sashayed through Brasil before landing in New York City – with a gorgeous album entitled Village Samba. Not surprisingly, all but two of the works are composed by the pianist. Each is a masterpiece – and I have no qualms about using hyperbole here – because they contain melodies the like of which one only rarely hears in any idiom, magnificently wrought harmonies scored for the instruments that play them and abounding in rhythm that could only have been written by someone born Brasilian, or have a Brasilian soul. Klaus Mueller is blessed with the latter and Brasilian music is lucky to have him in its corner. His sense of rhythm is flawless; he plays a samba as if himself engaged in its fascinating rhythm and although he does not do so here he could pull off a maracatu, or even a frevo; of that I am sure. Mueller is also a pianist of exceeding beauty. His total sheen, wide dynamic range, ear for nuance and pinpoint technique make a compelling case for this. Moreover, with his multifaceted background, his music blurs boundaries between popular, jazz, Brasilian and other worlds. You can hear this on the tunefully rich ‘System Process’ and in ‘Nice Surprise’ as well. The album also features an extraordinarily elegiac version of Duke Ellington’s ‘I Got It Bad (And That Ain’t Good) memorable for a breathtaking performance by flutist Anne Drummond and for Mueller’s very special arrangement, drenched in that ineffable Brasilian emotion: ‘saudade’. Perhaps the crowning glory of the album is ‘Tua Visita’, a piece unmatched in melodic charm and elegance. It is inhabited perfectly and sung with unspeakable beauty by Leny Andrade, with Drummond and saxophonist Harry Allen adding tonal weight as well. Of course Klaus Mueller plays with gaunt sonority, laser-like projection, finely calibrated and uncanny rhythmic equilibrium. This is something that Mueller does throughout the recording, however, conveying this music with blinding clarity and intense concentration throughout. With a characteristically striking performance by Hendrik Meurkens on ‘Ilha Grande’ and stellar performances by Yotam Silberstein, Ofer Assaf, Noah Bless, Carrie Frey and Nadia Maudhoo; and some of the finest Brasilian rhythmists – Rafael Barata, Itaiguara Brandão, Sergio Brandão, Portinho and Davi Viera – adding heft to the music this is one record a lover of Brasilian music cannot afford to be without. Track List: Village Samba; Toninho; System Passage; Tua Visita; Desvio; Ilha Grande; Sambinha; I Got It Bad (And That Ain’t Good); Nice Surprise; Last Minute; I Can’t Help It; Tulum. Personnel: Harry Allen: tenor saxophone (4, 9); Leny Andrade: vocals (4); Ofer Assaf: tenor saxophone (1, 3); Rafael Barata: drums and percussion (4 – 8); Noah Bless: trombone (1, 3); Itaiguara Brandão: bass (4 – 8); Sergio Brandão: bass (1 – 3, 10, 11); Anne Drummond: flute (4, 8, 9); Carrie Frey: viola (4); Nadia Maudhoo: violin (4); Hendrik Meurkens: harmonica (6); Klaus Mueller: piano, keyboards; Portinho: drums, percussion (1 – 3, 10, 11); Yotam Silberstein: guitars (2, 5); Davi Viera: percussion (1, 3, 5).